Animal Wildlife | Fin Whale | The fin whale is a large marine mammal that is found throughout ocean waters worldwide. 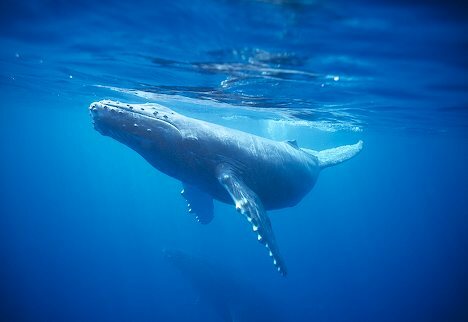 The fin whale is the second largest whale in the world behind the blue whale, and also the second largest animal on Earth (obviously after the blue whale again). 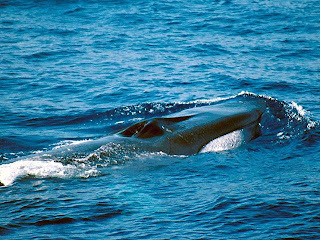 The fin whale has a long and slender body which can grow to lengths of more than 20 meters. The body of the fin whale is generally blue or grey in colour and slighter lighter on the underside of the fin whale. There are two different species of fin whale which are the Northern fin whale and the Antarctic fin whale. 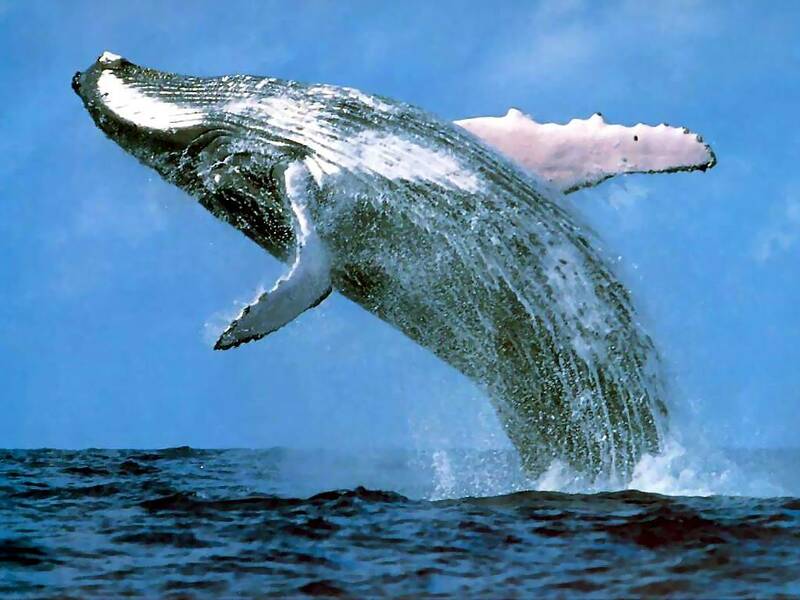 As their names suggest, the Northern fin whale is generally found in the Northern Hemisphere and the Antarctic fin whale, in the Southern Hemisphere. Both fin whale species are very similar in appearance but the Antarctic fin whale tends to be larger in size than the Northern fin whale. Fin whales are found in both cold and tropical waters around the world, although they are most commonly found in the more temperate regions. 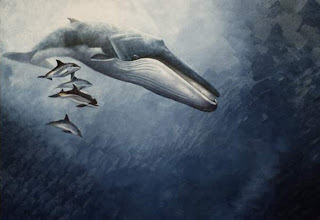 The fin whale is a carnivorous animal, that feeds by filtering food out of the water using the specially designed plates in its mouth (like a blue whale). 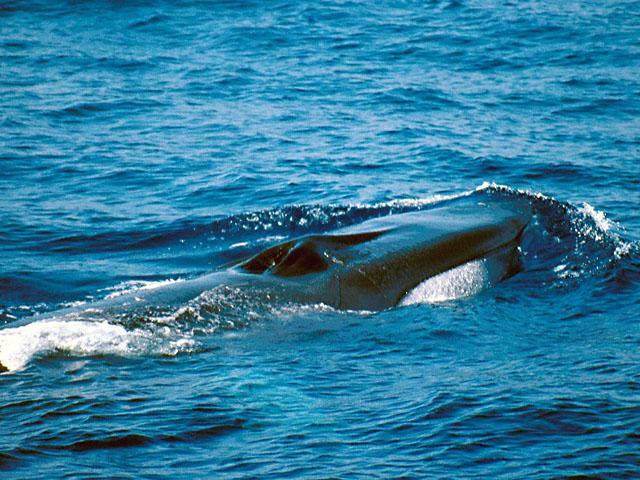 The fin whale eats fish, krill, plankton, squid and crustaceans by simply opening its enormous mouth and swimming at faster speeds. Due to its sheer size, the fin whale has no real predators within its natural environment as ocean predators simply don't compare in size. Humans are the greatest threat to the fin whale, as they have been hunted over the years to near extinction. The new-born fin whale calves are also sometimes attacked by large sharks. 1 Response to "Fin Whale"
The first, second, and fourth photos are humpback whales. Note the long, white flippers and dark, robust body. Also, on the second one you can see the dermal tubercles (bumps) on the rostrum (snout) and on the side of the lower jaw, a trait characteristic only to humpback whales. And there are two SUBspecies of fin whale, not species.